If you were not already aware, our school hired a school resource officer (SRO) this school year. 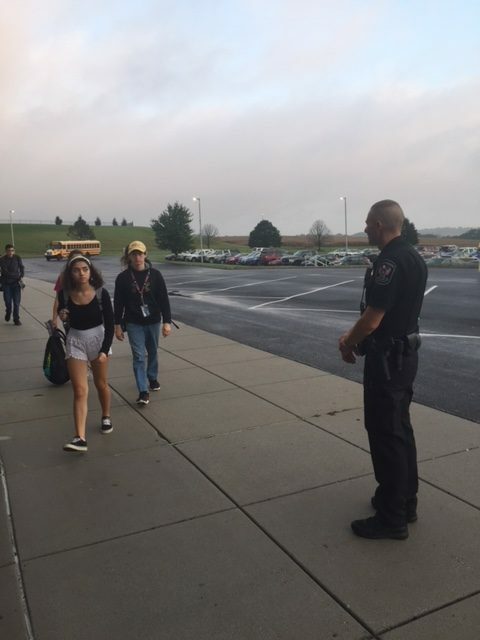 According to NASRO, or the National Association of School Resource Officers, the definition of a school resource officer is a law enforcement officer whom an employing police department sent to work within a district or school. The overall purpose of having an SRO at our school district is for students and staff to feel and be safer at school. He attends things like school dances and football games for security. Blais is the SRO for the entire district and goes to each school for different school functions and events. In addition to ensuring our safety, his other purpose at this school is also to teach and provide counseling to students. This is our SRO’s first year at this district; previously, he has experience as a police officer at the Southern Regional Police Department for ten years and was in the army for eight years . Blais has also trained other police officers about topics like driving under the influence (DUI) and drug investigations. 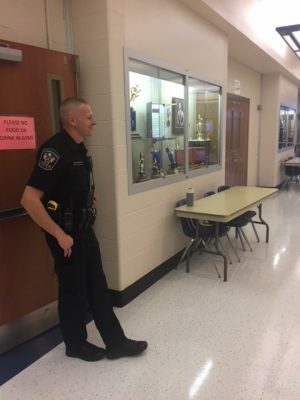 As an SRO, Blais has some personal goals to achieve, like developing a more friendly relationship with the student body, almost like a mentor, and being someone that students would come to talk to about problems at home or with other people. In order to become an SRO, Blais had to attend a special training to become certified. The class was a week long and it taught officers how to teach and interact with students. According to Blais, a typical day starts when the high school students arrive; he visits lunches and walks around the school and makes sure that there are no problems. He has these same responsibilities for every school in the district. 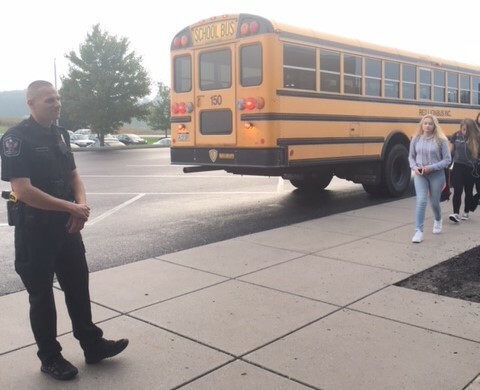 In addition to all the work he is doing as an SRO, Blais also reached out to teachers to let them know he could teach a variety of class topics. Recently, he taught gym teacher Amy Fisher’s girls gym class self-defense. Before starting within the district, Blais knew he was up against some preconceived stereotypes about police officers. Ironically, going into this job, Blais had some pessimistic views on the general student population because of his past as a patrolman.